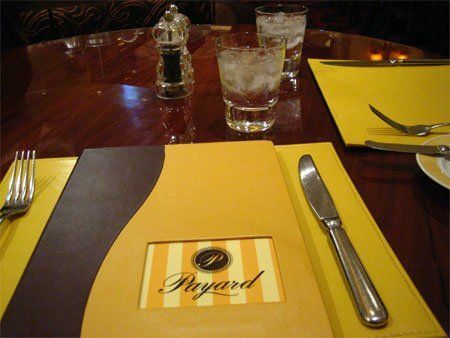 Phuc and Huyen discovered the Payard Pâtisserie & Bistro and raved about the food there! 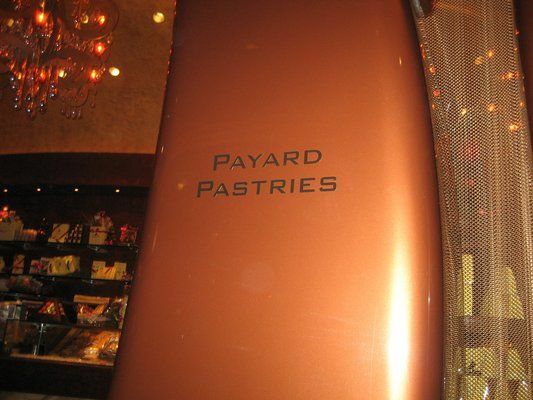 Payard Pâtisserie & Bistro is located in the Caesars Palace Casino. 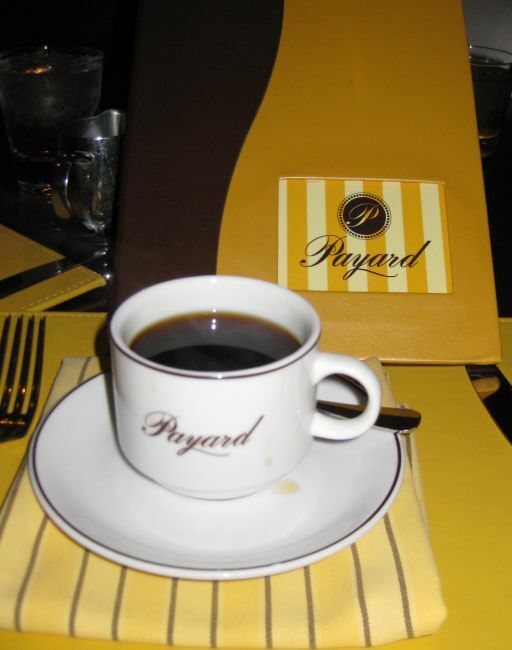 François Payard is an award-winning Pastry Chef. 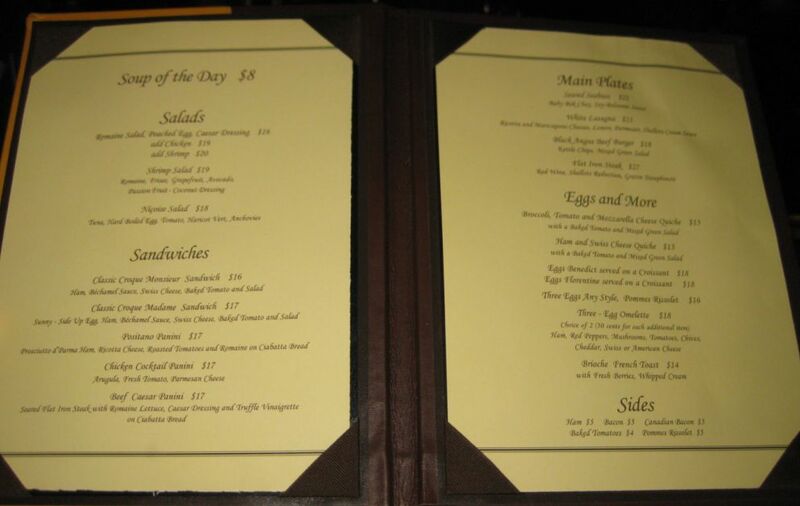 He has a bistro, serving lunch and brunch, a pastry & chocolate shop next to each other. 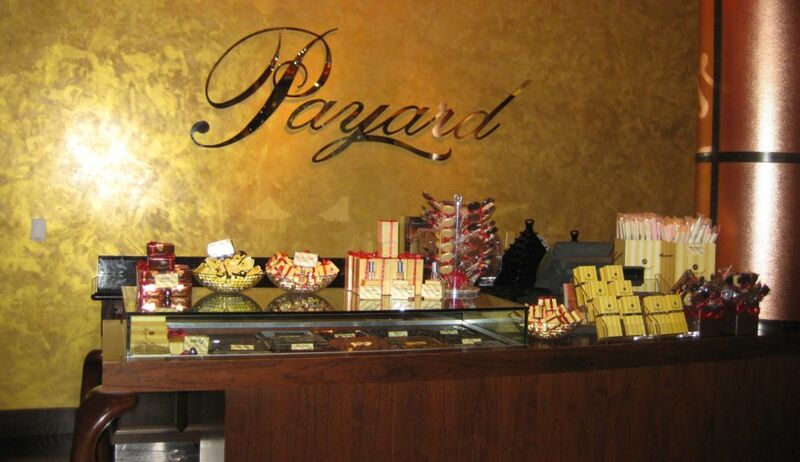 The chocolate and pastry shops make up the largest area of the Pâtisserie and offer a variety of Chef Payard’s signature chocolates, desserts, sandwiches and pastries which is perfect for an upscale, yet casual, meal on the go. Also located in this area are made-to-order crepes, coffee drinks and homemade ice-creams and sorbets. 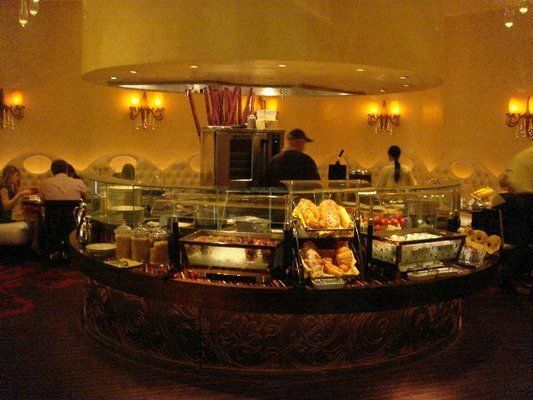 The kitchen is located in the middle of the bistro. There are only 16 tables and they are set up around the kitchen. This is what you see on the table when you sit down. 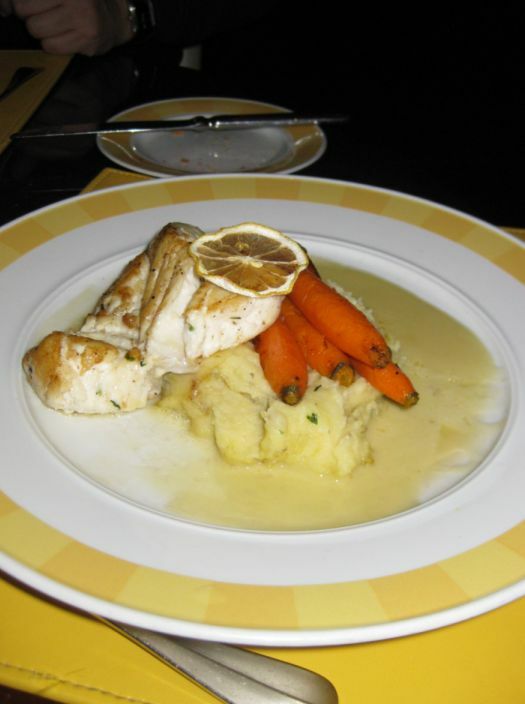 Roasted Fish on a bed of Mashed potatoes, butter carrots and beurre blanc. (I forgot the name of the fish). 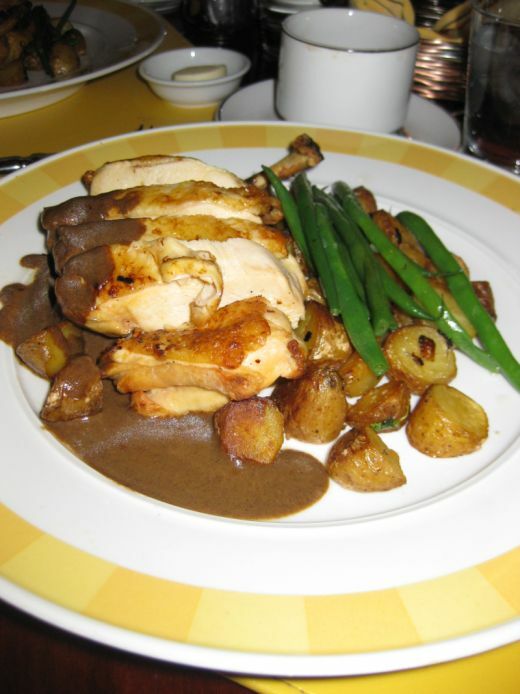 The 2nd special dish of the day is a roasted chicken breast served with green beans and roasted potatoes. 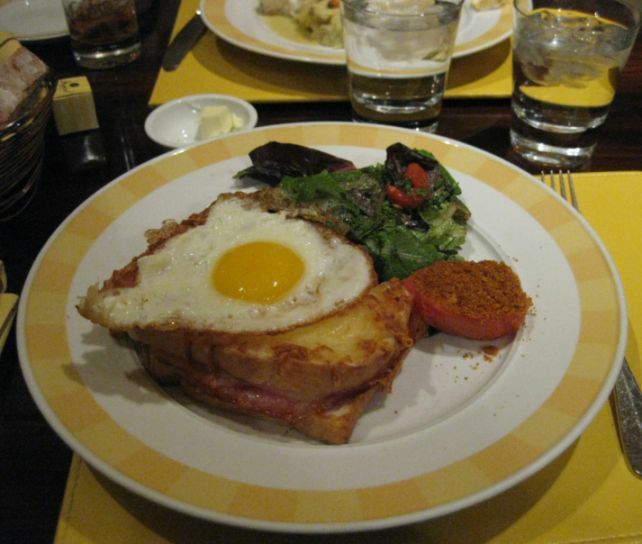 Kevin ordered a Croque Madame! 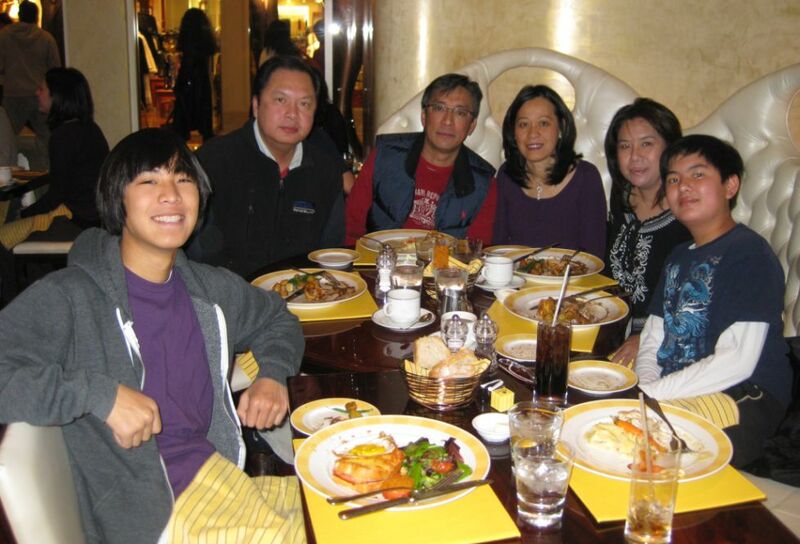 The dining room, with its dark wood tables and creamy white leather banquettes, provides guests with a more traditional Bistro experience and serves French-inspired breakfast and lunch items such as Croque Monsieur or Croque Madame which Kevin really adores. 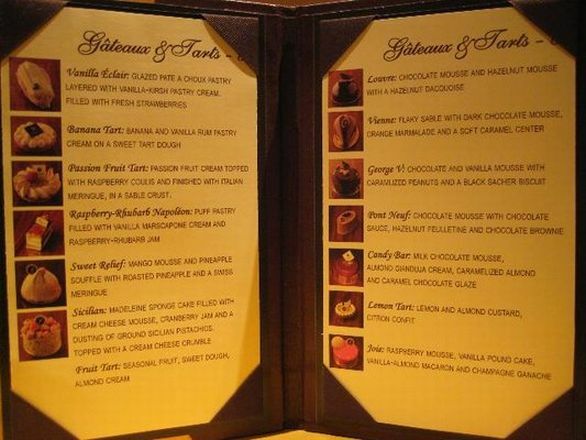 The dessert Menu. The dessert came with our special menu so we all could choose a dessert. 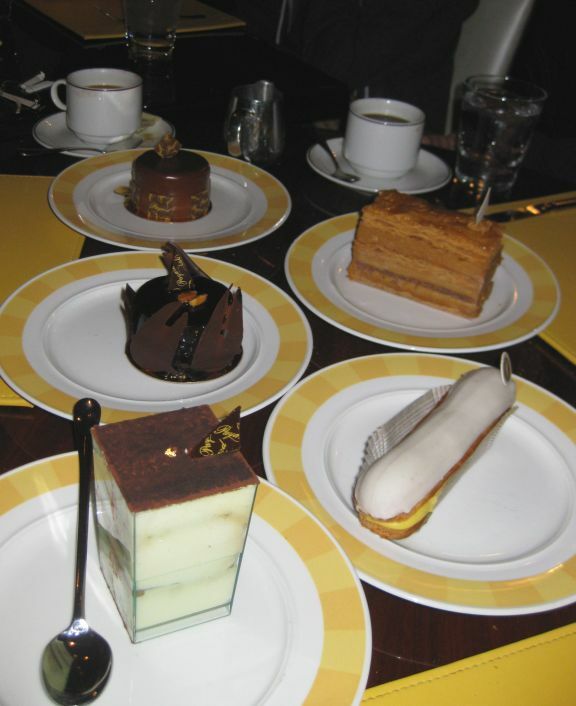 Overview of the desserts we chose: Tiramisu, Millefeuille, George V , and Louvre (upper left corner). 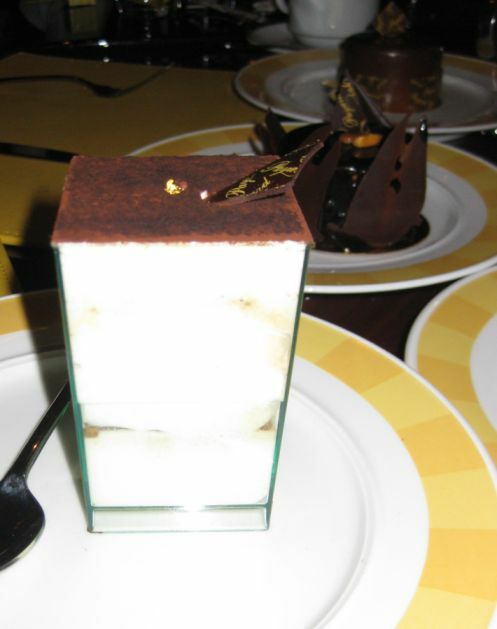 All the desserts are so pleasing to the eye and amazing to the palette. We got 5 different desserts so we can taste every single dessert! 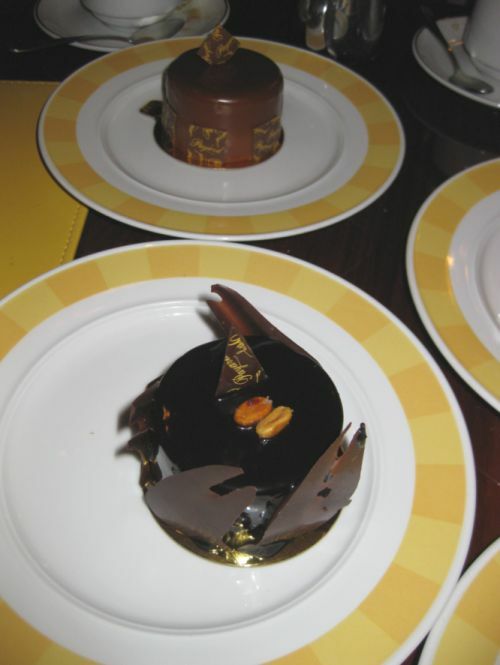 George V, chocolate and vanilla mouse with caramelized peanuts and a black sacher biscuit. 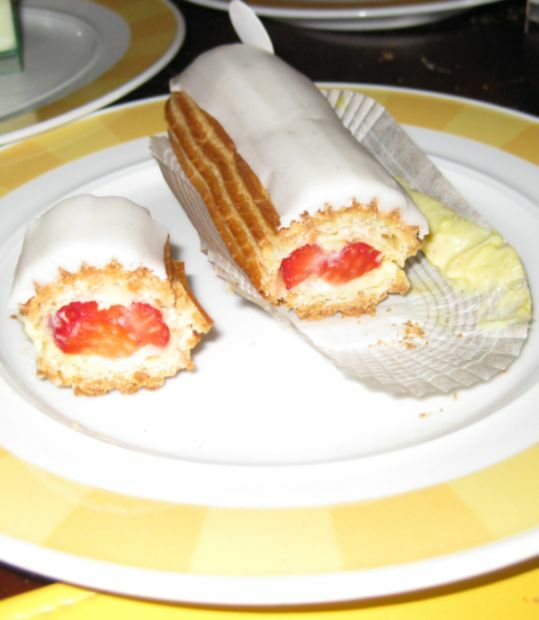 Vanilla Éclair: glazed pate a choux pastry, layered with vanilla kirsch pastry cream filled with fresh strawberries. This is really good! Tiramisu is also very good. Nice presentation. 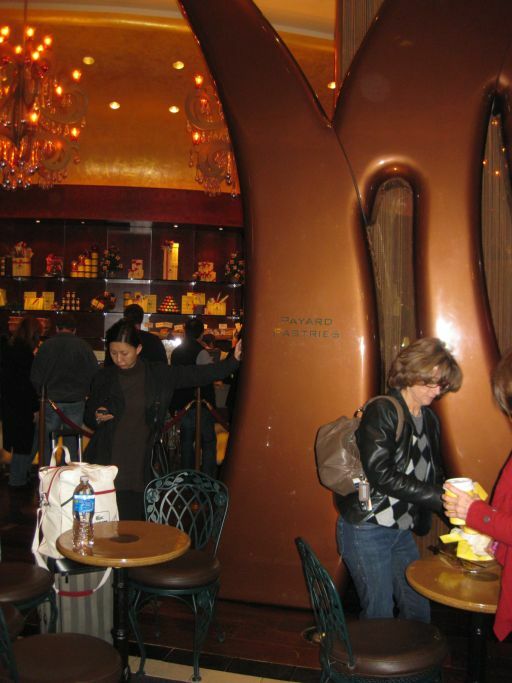 This the pastry and chocolate shop. 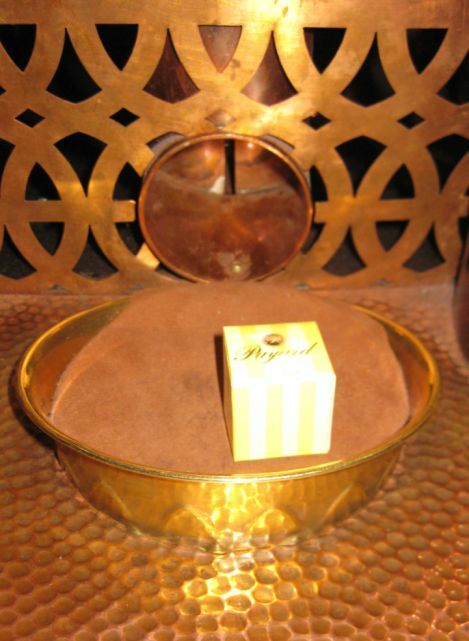 For guests looking to take home a gift box of Chef Payard’s famous candies or one of his cookbooks, these items can also be purchased in this area. This the side counter top filled with candy bar, chocolates and truffles! The only complain is the shop is tucked away in one of many corners of Caesers palace so you have to know this place to go there. 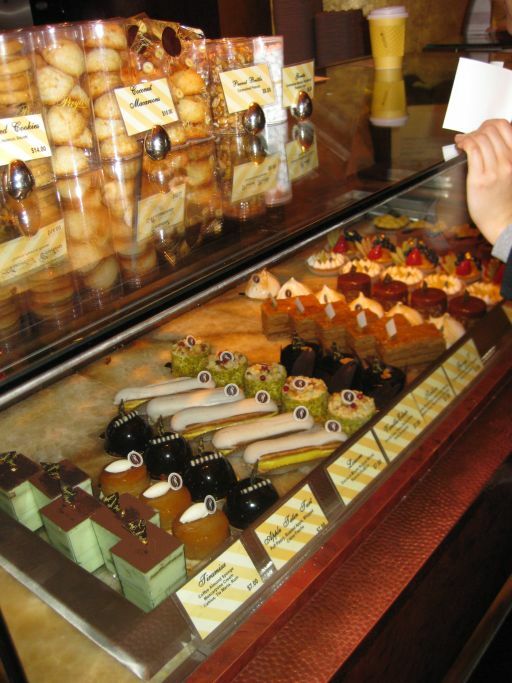 Pastry display counter. Their pastries looks so appealing and they are also very good! They are not cheap, each pastry is priced at $7 a pop!. Worth the money. 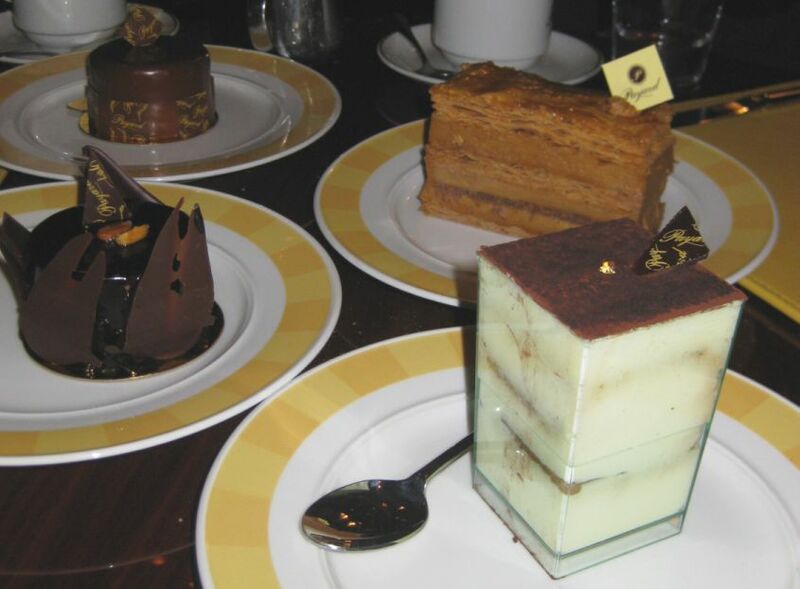 Each pastry looks like a work of art! 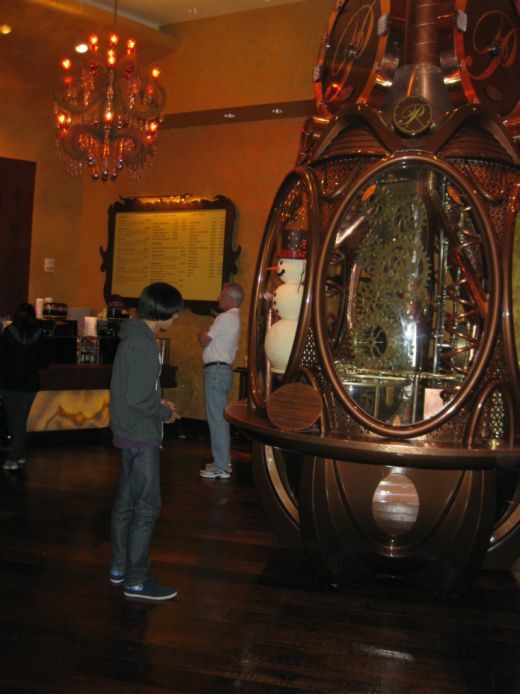 Kevin standing next to the chocolate clock dispenser. 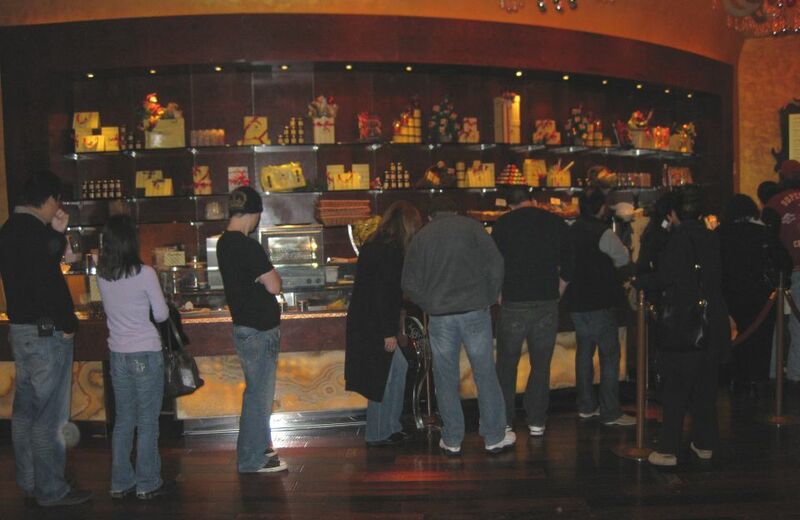 The look give out 3 free chocolate truffles every 15 minutes so Kevin and Spencer just hang around there until they got the chocolate. 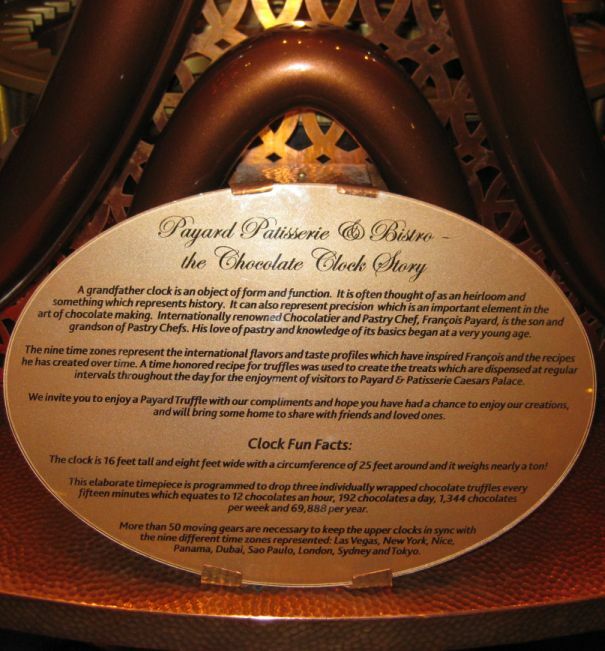 Every 15 minutes the clock drops off 3 little boxes of chocolates.